GardenPride have been supplying Compost, Lawn Dressing, Kraal Manure and Topsoil for the last 20 years. We pride ourselves in the supply of high quality products free of weeds and as close to "organic" as one can get to. Our customers have been using our products with amazing results all these years and we are constantly expanding. We have added to our product portfolio the following: "Worm Fertilizer" - a natural fertilizer and Kikuyu/LM Instant Lawn. 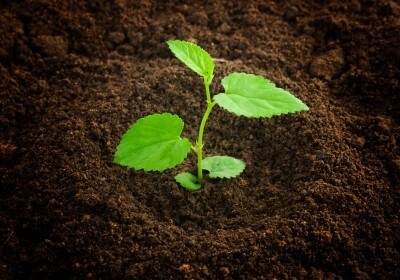 Our Compost is high quality, rich in natural and organic nutrients, and also being weed free. We deliver to typical residential markets ranging from 1m³ to 3m³ per load, and multiples thereof. Lawn Dressing is most popular because it is a mix of our Organic Compost and sifted Topsoil – perfect for lawn as the soil provides drainage and the compost provides nutrients. We deliver to typical residential markets ranging from 1m³ to 3m³ per load, and multiples thereof. Our supplier's vermicast process uses tons of earthworms in an all organic system to produce premium soil fertility products. So, if you are looking for a natural fertiliser, you have found the right source - we call it "Worm Fertilizer"! Our instant lawn; Kikuyu and LM being most popular, is of high quality and we pride ourselves with farmers that take care and grow top quality lawn – our grass is becoming well-known and highly sort after. We also provide a Landscaping service and have had numerous customers giving us incredible feedback and thanks for the jobs we do. GardenPride goes the extra mile. We also offer Irrigation and Tree Felling services to complement our customer offering. Our pricing varies based on distance travelled so do please check up on pricing or enquire via our quoting page. Thank you for visiting our web site and please do not hesitate to contact us for any advice and a quote.